2.Small size quadcopter build in 6axis system, more stablized for indoor&outdoor flight. 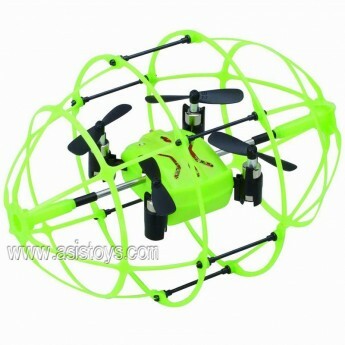 3.Quadcopter with ball new body design support you full direction protection,durable for long time fun. 4.Perfect performance no matter horving or 360 degree unlimited rotation. 5.High/middle/low three speed for your choice.